Marc Steel is a known manufacturer and trader of ASME SA 335 / ASTM A335 P1 Pipes, which has high tensile strength. Besides this, these presented Alloy Steel P1 Pipes are damage free in nature. Buy Alloy Steel P1 Tubes at reasonable price from us. We make these ASME SA 335 Alloy Steel P1 Pipes available as per the customers’ detailed specifications, to suit their diverse requirements. We have emerged as one the prominent distributors, exporters and suppliers of ASTM A335 Alloy Steel P1 Pipes that is designed by our vendors using high grade factor inputs. We put forward a broad range of ASME SA 335 Alloy Steel P1 Tubes that is manufactured in adherence with the set industry norms using highly developed technology and finest quality stainless steel. Addition of alloying elements in ASTM A335 Alloy Steel P1 Tubes is usually for the purpose to increase hardness, strength or chemical resistance. ALLOY STEEL ASME SA 335 SEAMLESS RECTANGULAR PIPE, P1 SEAMLESS ALLOY PIPE EXPORTER IN SOUTH AMERICA, GR P1 ALLOY STEEL HYDRAULIC PIPES IN EUROPE, HIGH PRESSURE P1 SEAMLESS BOILER PIPES MANUFACTURER & SUPPLIERS. Available in different sizes and shapes, we supply these ASME SA 335 P1 Alloy Steel Pipes at competitive prices to our valuable clients. ASME SA 335 P1 Alloy Steel Tubes has some great features to offer such as Great strength, Unique quality, Corrosion resistant and more. 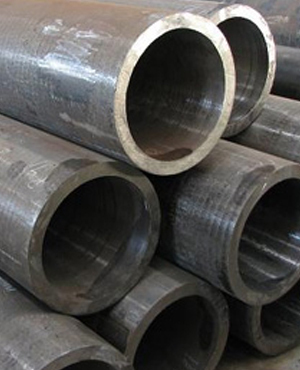 We offer supreme quality of ASTM A335 P1 Alloy Steel Pipes to our esteemed customers. Our quality controllers inspect this ASTM A335 P1 Alloy Steel Tubes as per international quality parameters. These products are quality approved on defined industry norms by the qualified quality professionals. Indonesia, Greece, Belarus, China, Germany, Slovakia, Sweden, Japan, Jordan, Switzerland, Ecuador, Nigeria, Afghanistan, Namibia, Denmark, Venezuela, Azerbaijan, France, Israel, Gabon, Morocco, Algeria, Czech Republic, Yemen, Australia, Mexico, Kuwait, Spain, Croatia, Malaysia, Finland, Poland, Mongolia, Canada, Hungary, South Africa, Singapore, Ireland, Chile, Estonia, Bahrain, Turkey, Sri Lanka, Qatar, Mexico, Peru, United Arab Emirates, Bhutan, Norway, Macau, Bangladesh, Serbia, Oman, Gambia, Netherlands, Ukraine, Portugal, Colombia, United Kingdom, Russia, Hong Kong, Italy, India, Puerto Rico, Iraq, Iran, Kazakhstan, Philippines, Vietnam, Lithuania, Taiwan, Nepal, Ghana, Libya, Iran, Trinidad & Tobago,Tunisia, Poland, South Korea, Austria, Brazil, Argentina, Saudi Arabia, Nigeria, Pakistan, Tibet, Bulgaria, Angola, Costa Rica, United States, Kenya, Zimbabwe, Egypt, Romania, Belgium, New Zealand, Lebanon, Chile, Bolivia, Thailand. Kuwait City, Al Jubail, Indore, Lahore, Melbourne, Seoul, Manama, Houston, Hong Kong, Nashik, Dallas, Brisbane, Surat, Kolkata, Vadodara, La Victoria, Secunderabad, Al Khobar, Sydney, Gurgaon, Singapore, Geoje-si, Coimbatore, Thiruvananthapuram, Doha, Baroda, Jaipur, Hanoi, Toronto, Ernakulam, Jeddah, Ludhiana, Atyrau, Karachi, Nagpur, Cairo, Dubai, Gimhae-si, Navi Mumbai, Aberdeen, Bengaluru, Bogota, Moscow, Ahmedabad, Santiago, New York, Busan, Granada, Faridabad, Noida, Istanbul, Edmonton, Colombo, Visakhapatnam, Milan, Riyadh, Lagos, Rajkot, Petaling Jaya, London, Chennai, Chandigarh, Montreal, Hyderabad, Chiyoda, Calgary, Caracas, Dammam, Ranchi, Bhopal, Sharjah, Jamshedpur, Mexico City, Courbevoie, Rio de Janeiro, Pune, Abu Dhabi, Perth, Los Angeles, Ho Chi Minh City, Muscat, Mumbai, Algiers, Kuala Lumpur, Tehran, Pimpri-Chinchwad, Haryana, Ulsan, Vung Tau, Thane, Bangkok, Port-of-Spain, New Delhi, Howrah, Jakarta, Kanpur, Ankara, Ahvaz, Madrid.